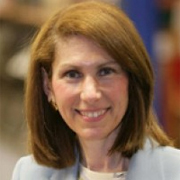 Amy Handlin was elected to the New Jersey General Assembly in 2005. Previously, she was elected to the Monmouth County Board of Freeholders in 1989 and was re-elected in 1992, 1995, 1998, 2001 and 2004. Prior to serving as a Freeholder, she was Deputy Mayor and Township Committeewoman in Middletown Township, where she lives with husband David, son Daniel and daughter Rebecca. She is currently Associate Professor of Marketing at Monmouth University and a former Senior Fellow at the Center for the Study of Public Issues. Dr. Handlin is a graduate of Harvard University, holds an MBA from Columbia University and a Ph.D. in Marketing from N.Y.U. Dr. Handlin is a former Commissioner on the NJ State Commission on Higher Education and Chair of Monmouth County’s Communities Against Tobacco Coalition. In 2004, Dr. Handlin was the United Nations Association Recognition Award winner and was named 2003 Elected Official of the Year by the Northern Monmouth Chamber of Commerce. She has also been honored by the American Cancer Society of New Jersey, Prevention First, 180: Turning Lives Around and many other public health organizations for her work to reduce teen smoking. Dr. Handlin has also served on the boards of the New Jersey League of Women Voters and the American Association of University Women, among others. She is past recipient of the Legislative Award of the New Jersey Environmental Federation, the Humanitarian Award of Brandeis University Women, the Rose and Scroll Award of the New Jersey Association of Women Business Owners, and numerous other citations for civic leadership. Dr. Handlin, the author of “Whatever Happened to the Year of the Woman? Why Women Still Aren’t Making It to the Top in Politics,” has also been a columnist for New Jersey Reporter, a public-affairs magazine. A founding member and former Chair of the Monmouth County Advisory Commission on Women, Dr. Handlin is a member of the national board of the Jewish Council for Public Affairs and Vice President of Community Relations for the Jewish Federation of Greater Monmouth County. A past Chair of the Central Jersey Israel EXPO, she has also co-chaired the United Jewish Communities Northeast Leadership Conference. Serena DiMaso became an assemblywoman in January 2018. DiMaso served on the Monmouth County Board of Freeholders from 2012 to 2017, serving as its deputy director for three years. Previously, she was a Holmdel Township committeewoman for 10 years and its mayor from 2006 to 2010. While attending St. John’s University, DiMaso earned a bachelor’s degree in business management in 1984 and a law degree in 1987. 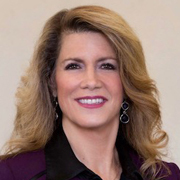 An active health care advocate, she is chairwoman of the Bayshore Medical Center Foundation and serves on the Meridian Hospital Corporation’s board, and is a member of the Holmdel First Aid Squad. A resident of Holmdel, DiMaso and her husband have four adult children.